The 9 standard rooms are located upstairs, with terrace and providing double king size bed or two twin single beds. The 8 apartments located downstairs provide an area for cooking and terrace with table and chairs. 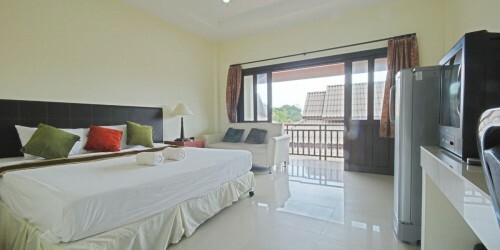 The 6 Villas located downstairs provide Satellite area for cooking, large living room and terrace.